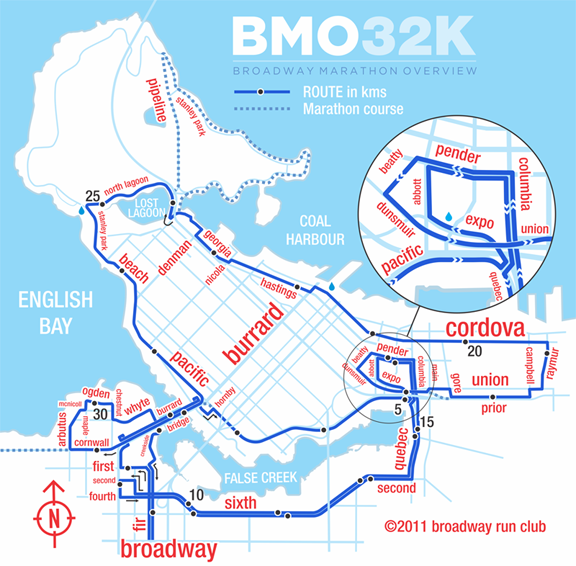 The Broadway Marathon Overview is a 32k training run giving you a good chunk of the Vancouver Marathon course. The route covers the entire marathon course with the exception of the Brockton Point section in Stanley Park and the Kitsilano out-and-back west of Arbutus. There are a few minor detours from the actual marathon course in order to avoid running on the Burrard Bridge bike lane and through traffic on the Dunsmuir viaduct off-ramp to Prior Street. I have noted the parts of the marathon course not covered with dotted lines on the map. 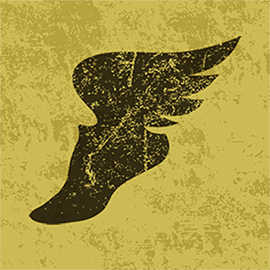 Check out Van 26.2 for another training option on the BMO Vancouver Marathon course.